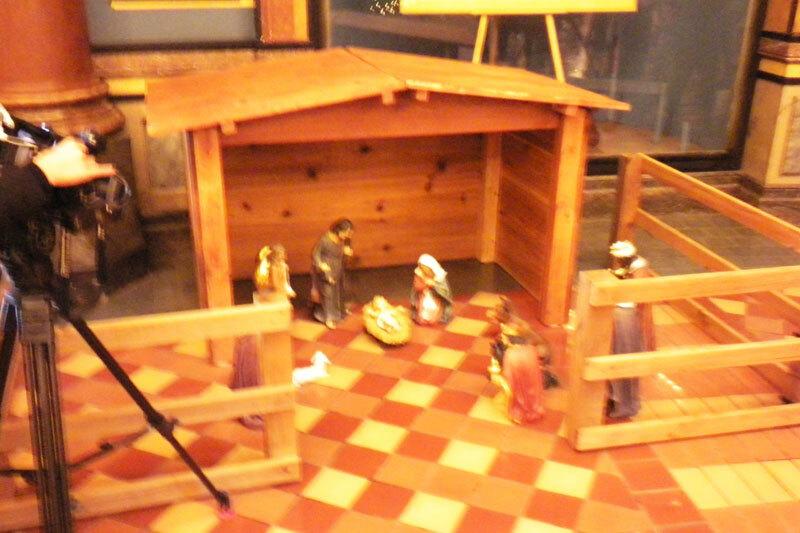 Nativity scene on display at the Iowa State Capitol rotunda. The Thomas More Society set up a nativity scene in the rotunda of the Iowa State Capitol for the first time ever Monday. Martin Concannon is with the Omaha chapter of the society and says setting up a nativity scene at the capitol raises lots of questions. “The first question I get is, ‘is that legal?’,” Concannon says. “And of course the answer is ‘yes’. The public sidewalk is the quintessential public forum and this is the quintessential public sidewalk right here.” Concannon says he was also asked if putting up the nativity scene in the rotunda is confrontational or provocative. private display or private expression of faith has been somewhat frozen out of the public square for long enough now that people are not accustomed to seeing it. And it seems like there must be something combative when somebody shows up to engage in it.” Concannon says the Thomas Moore Society isn’t trying to be confrontational. “The reason we are here is really simpler than that. The creator of Satan himself has defeated evil and has invited us into his protection. That is the good news of the season and we are commanded to share it,” Concannon explains. 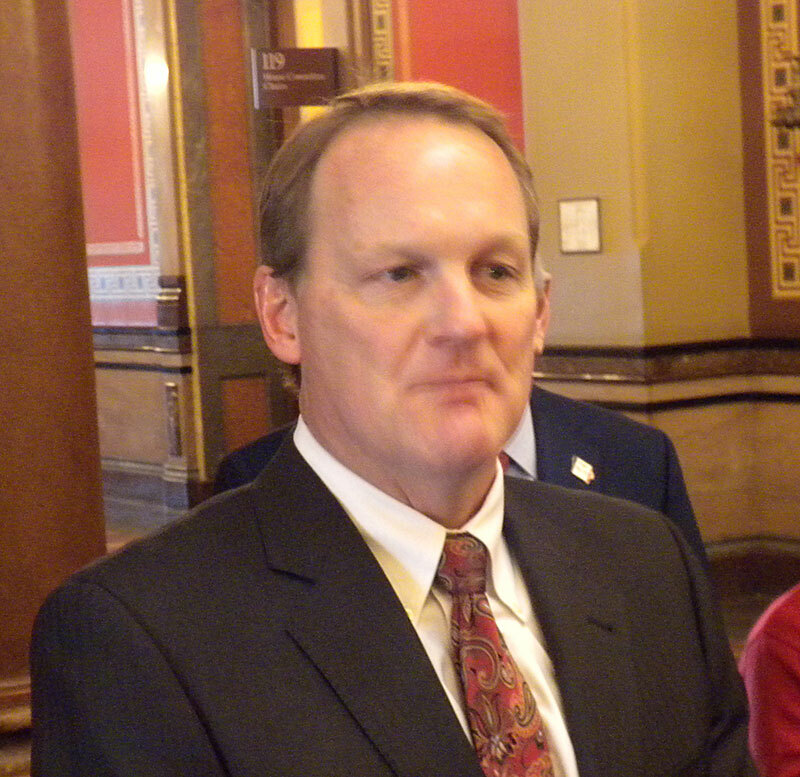 He says the Iowa State Capitol is the perfect place for the nativity. “This building is the heart of our civic discourse and its rotundas are its hearthstone. So, of course we wont to be here, just to express the joy that we have,” Concannon says. 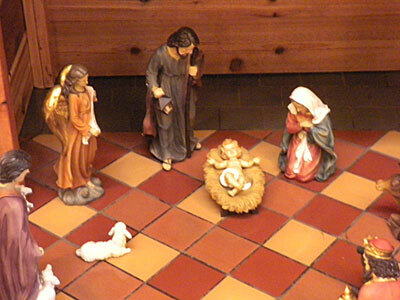 Concannon says they will have a sign up letting people know the nativity scene is not sponsored by the state of Iowa. A closer look at the nativity scene. “It’s not the state of Iowa, they haven’t funded it, they haven’t authorized it, they don’t promote it. They are simply allowing us to put it here as they might allow Cancer awareness week,” Concannon says. Concannon says they put a nativity scene in the State Capitol Building in Nebraska and that did draw some protest. Concannon says they want to put up nativity scenes in a couple of other capitol buildings too. Iowa Governor Terry Branstad and Bishop Richard Pates of the Des Moines Catholic Diocese were on hand Monday for the unveiling of the nativity scene, which will be in the capitol rotunda through Christmas.